Good news for everyone who wants to get better in any skill they are desperately trying to improve. The effective methods do exist! Read on and reveal yourself the true power of mental power and be sure there is nothing impossible for you! By the way, have you ever heard that mental practice does help you to make much progress in the skills that you are dreaming to get better at? According to the research, you can advance anything you want if you go through the necessary motions in your head. Mental practices, that's what it is. Let's first figure out what mental practice advantages look like before we see and understand how this method works. The motor imagery, that's how the mental practice can be also called, has proved its effectiveness in a number of situations. The study where golfers, surgeons, and musicians were examined has proved that undergoing mental practice before helps get better results. Golfers, who combined their physical practice with mental (they underwent the motions of golf in their head), showed much better results than the others, who didn't undergo mental practice. Surgeons' technical ability and performance significantly improved after undergoing mental practice before surgery. Pianists could learn their notes much easier and quicker with the help of mentally-practicing new musical pieces. One more fMRI study, where professional and amateur violinists were looked at, also revealed the similarity, not identity, in brain actions during mental practice and actual performance of music. You might have never been aware of it, but you are constantly mentally-practicing that skill intuitively, every time you undergo the motions of a needed action in your head. You've already used mental practice throughout your life in different forms millions of times. 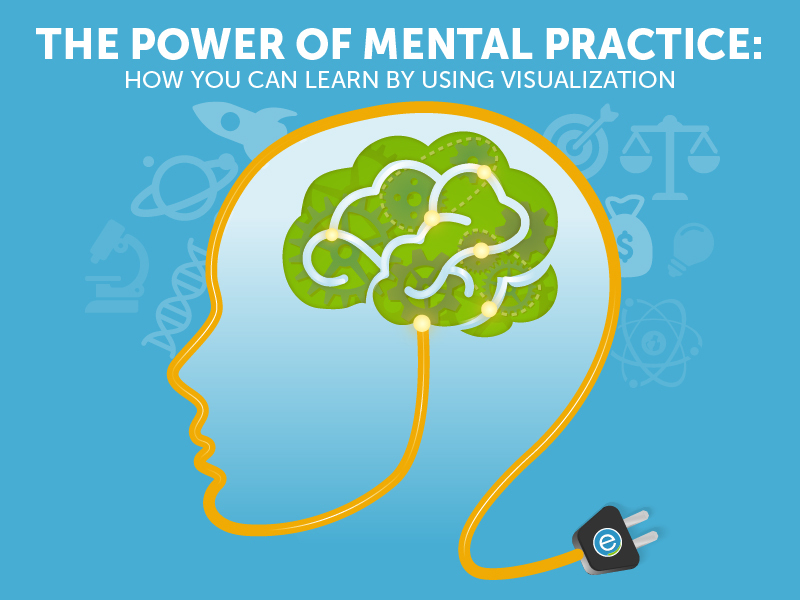 Have you ever wanted to advance in the way you utilize your mental practice? You can't even imagine how rapidly better results can be achieved! One thing to bear in mind, you'll need to dedicate some time to master this technique, which is extremely advantageous. Mental practice should be used when you are injured and can't carry out the physical action. Amazingly how doing mental practice not only encourages the improvement of your skills in such instances but also preserves your physical abilities. It is scientifically proven that strength loss during short-term muscle immobilization tends to reduce with the help of mental visualization of physical exertion. One more incredible fact, when you imagine that you are lifting a heavy object, it leads to more muscle response than that you are lifting a lighter one. The same as the surgeons, musicians, and golfers benefited from conducting mental practice before a real performance, the same way you can. No matter what you are going to do, all you need is to imagine the specific actions you will undertake. It's perfect for "dead times." It goes about time spent in activities such waiting in line or riding a bus when you are unable to do anything productive at all. Why shouldn't you invest this time into something good? Who says this "dead times" should be wasted? Each time you are suffering from your numerous attempts to fall asleep, try mental practice as you are lying in bed. If you are ready to take a long time to fall asleep, it would be of a great help. But you should stop doing this, once you've noticed it doesn't help only makes it harder. While mentally-practicing your skills mind an important thing: in order not to instill bad habits, you have to go through the correct motions in your head. Remember that like any other technique this one also requires some time. The more you use it, the more experienced you will become, and consequently the more advantages you'll get.